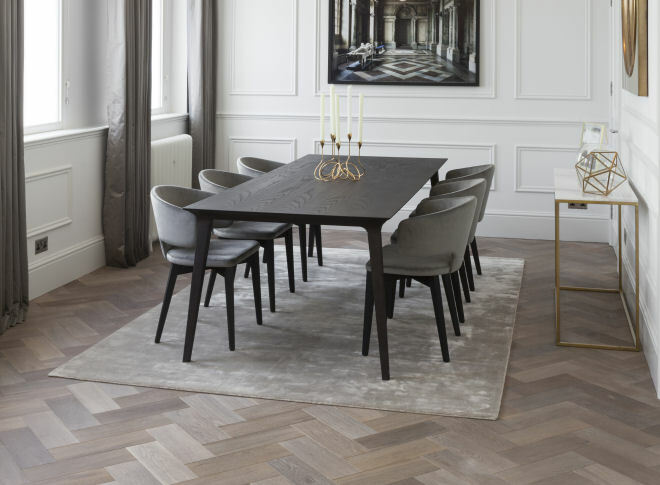 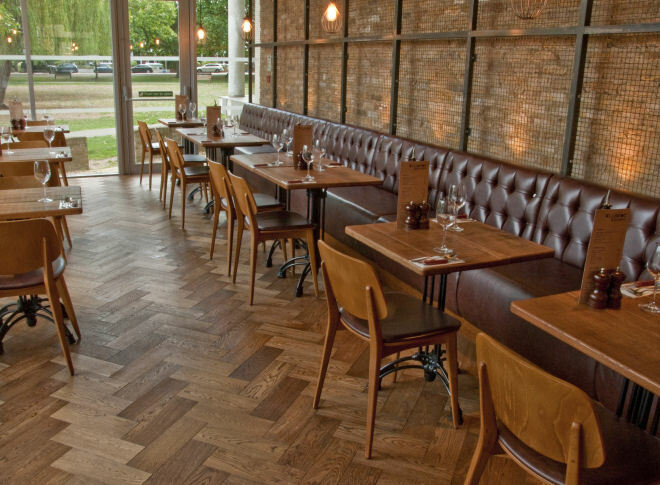 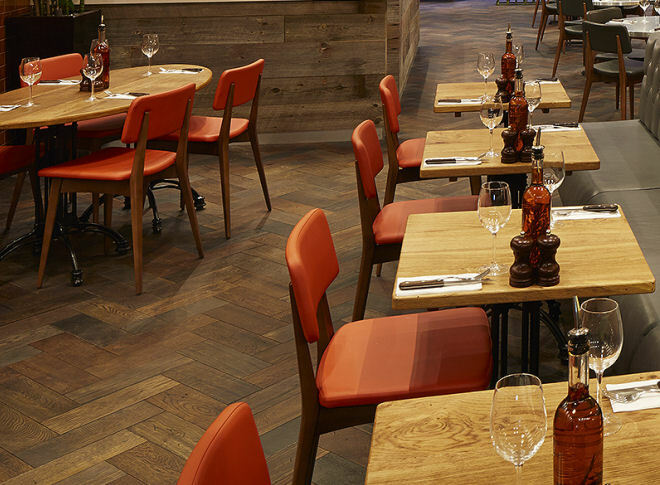 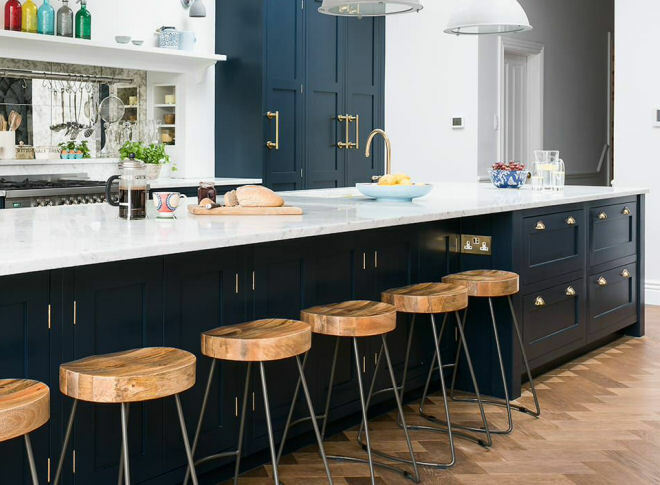 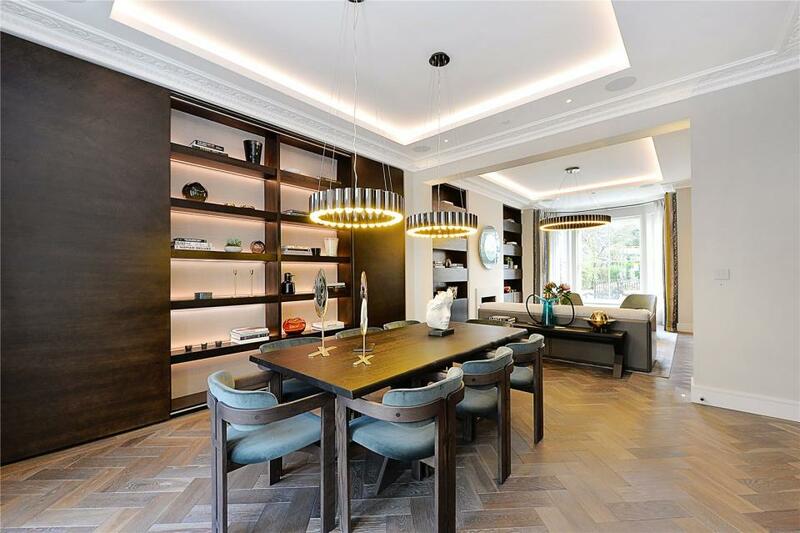 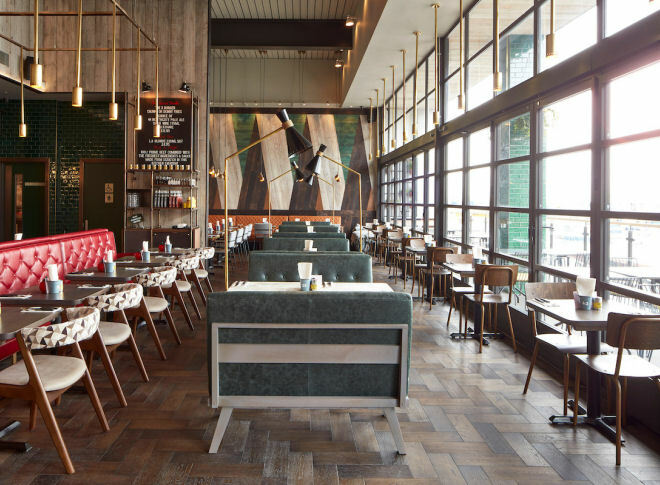 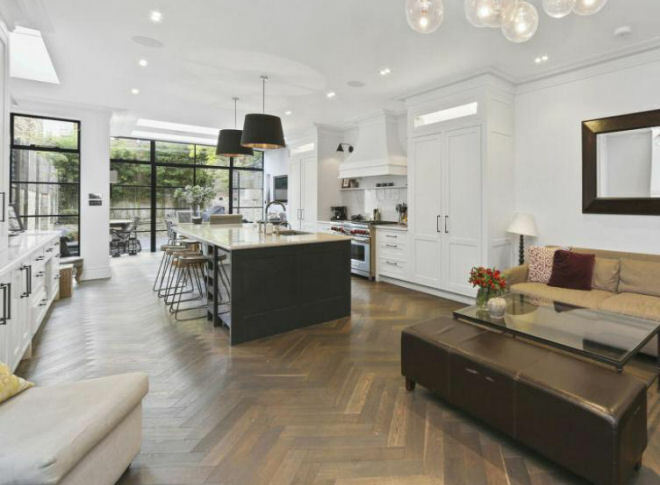 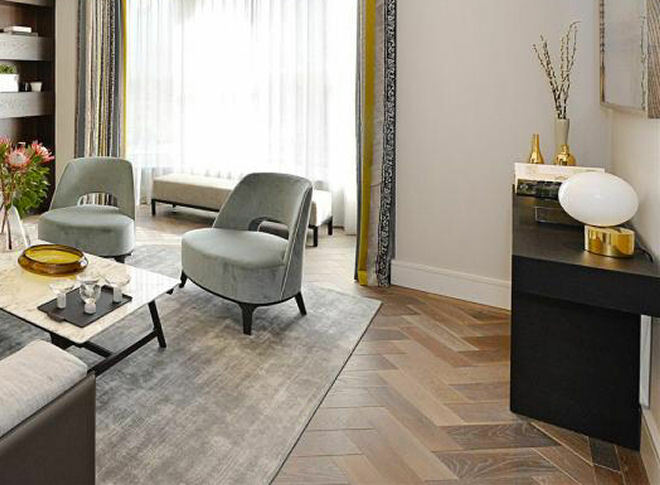 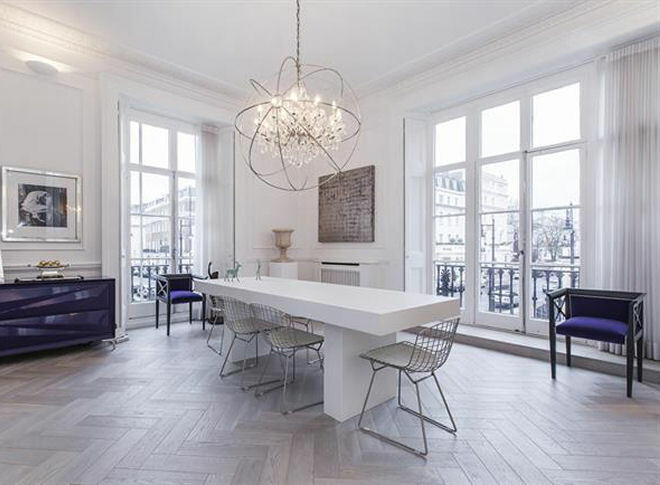 Herringbone flooring is still the most popular and most specified of our range of parquet floors. 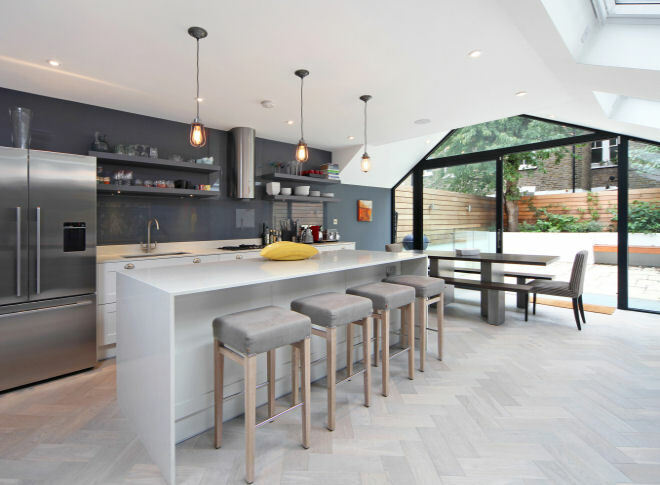 It provides a flowing contemporary feel to an interior that is relatively simple to install and is also structurally stable. 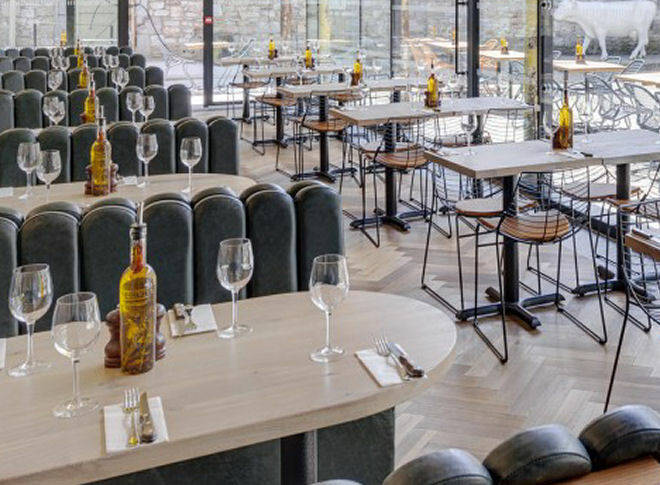 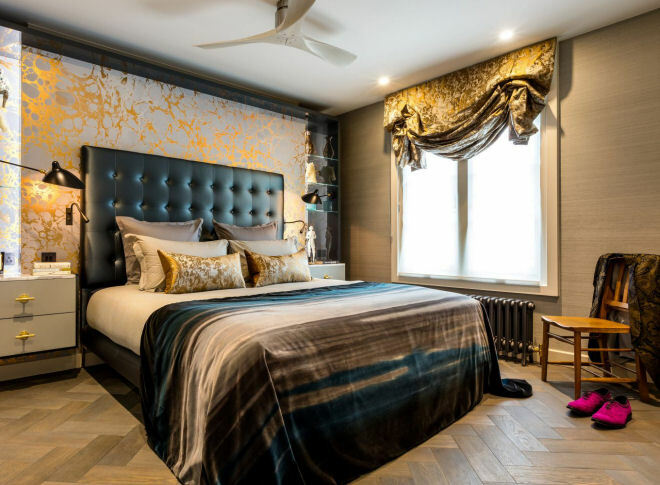 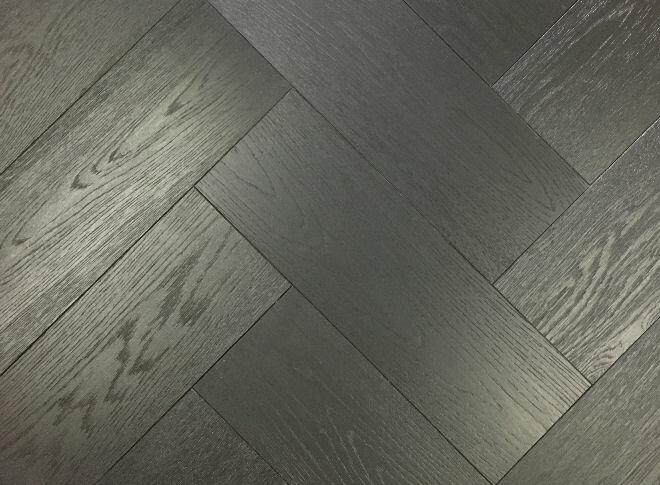 All our floors can be manufactured in the same thickness and finish which means a continuous shade scheme can be achieved. 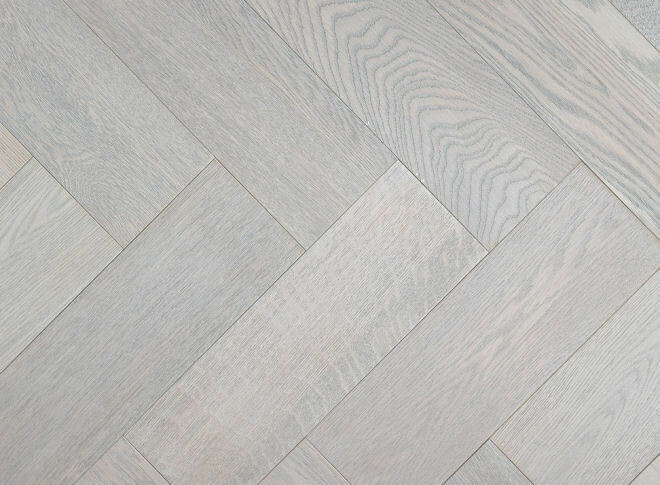 For example herringbone in an entrance hallway that flows into a matching shade plank floor in a living room. 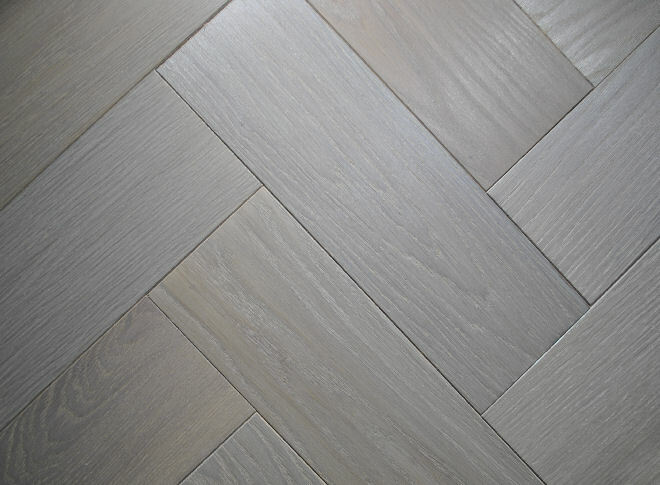 Alternatively a matching strip border around the perimeters. 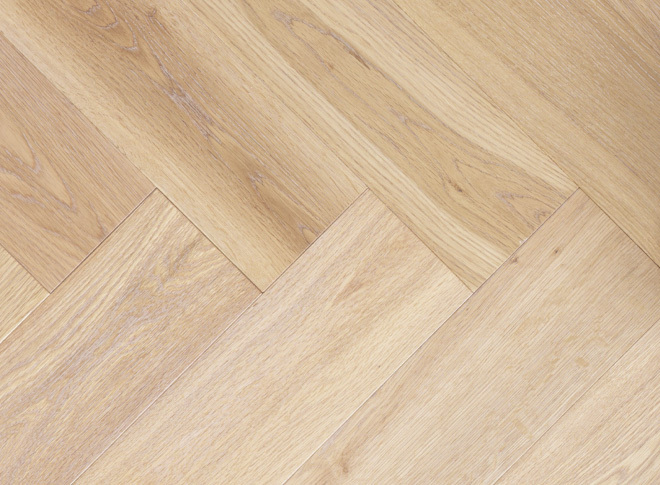 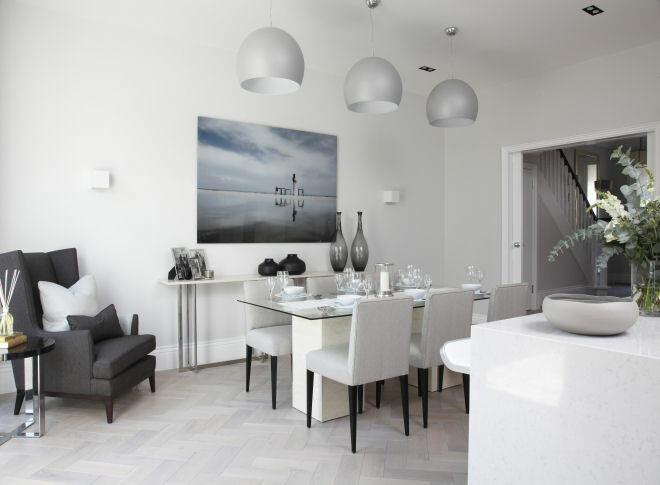 The herringbone flooring is engineered which means that the floor can be used over under-floor heating. 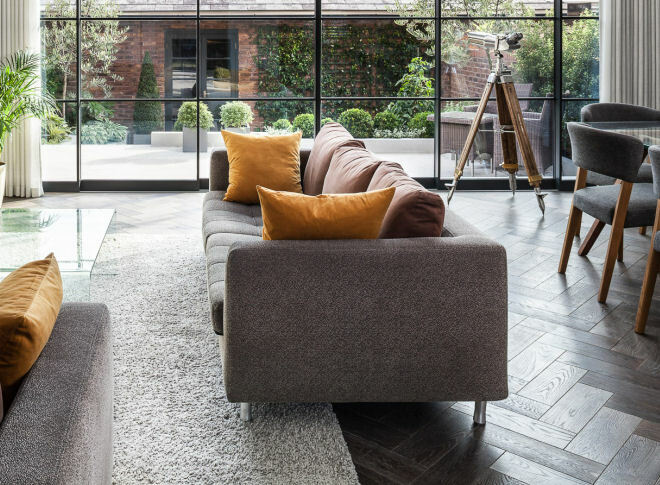 Our under flooring heating guide shows the acceptable temperature and humidity levels. 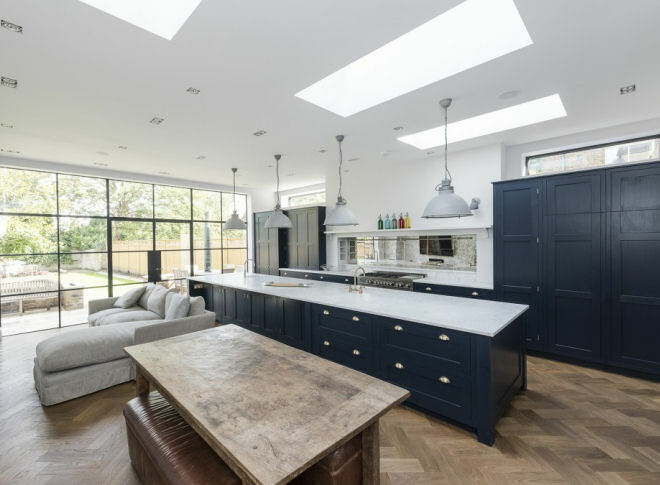 We can also offer a surface finish in hard wearing mat lacquer or for commercial projects we can apply a water proofing oil during production. 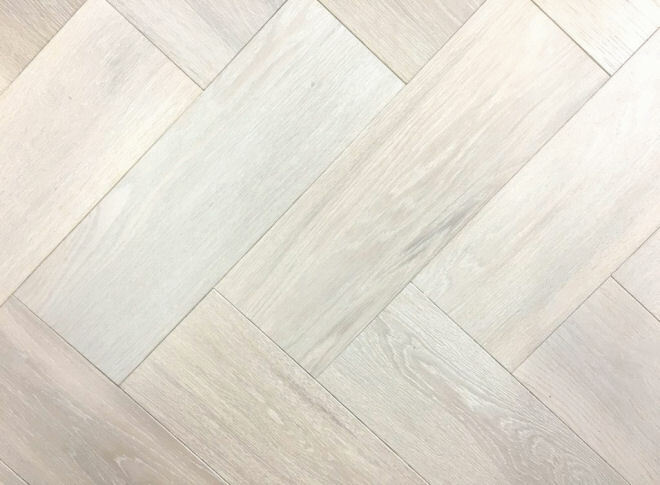 An 18mm thickness engineered herringbone flooring that can be quickly and easily installed over any type of flat floor using a suitable wood floor underlay. 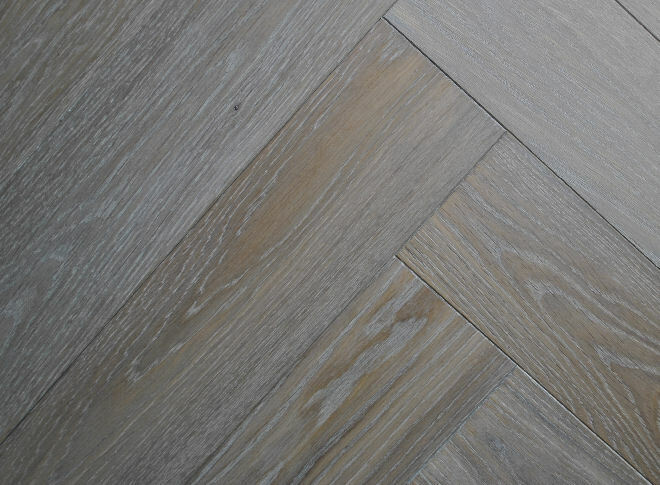 The heavyweight herringbone blocks are simply bonded together with PVA adhesive and laid floating, but will give a rigid solid feel when correctly installed. 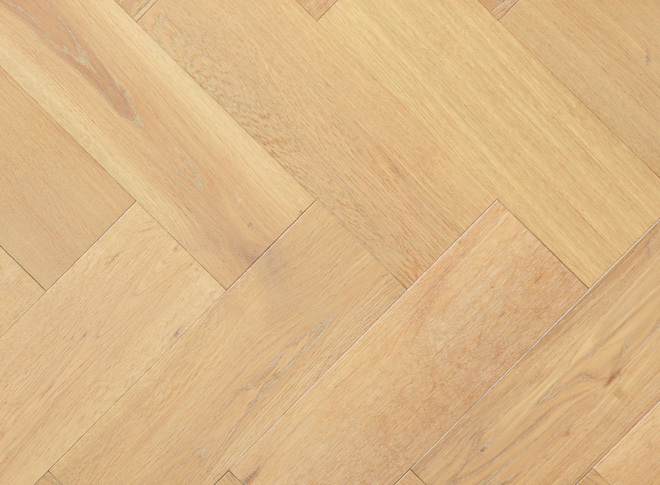 Alternatively, the blocks can be fully bonded to a suitable sub-floor using a resin adhesive. 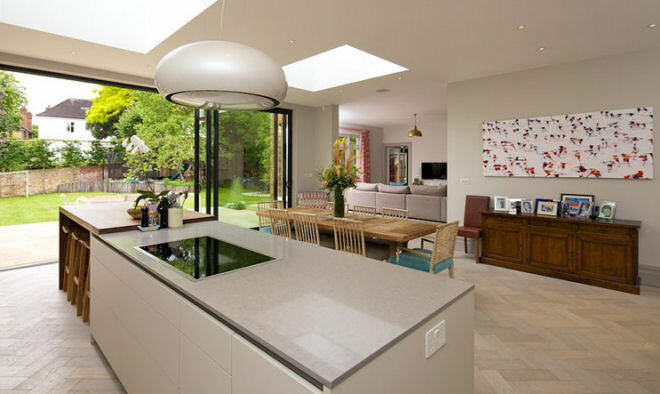 See our installation guides for more information. 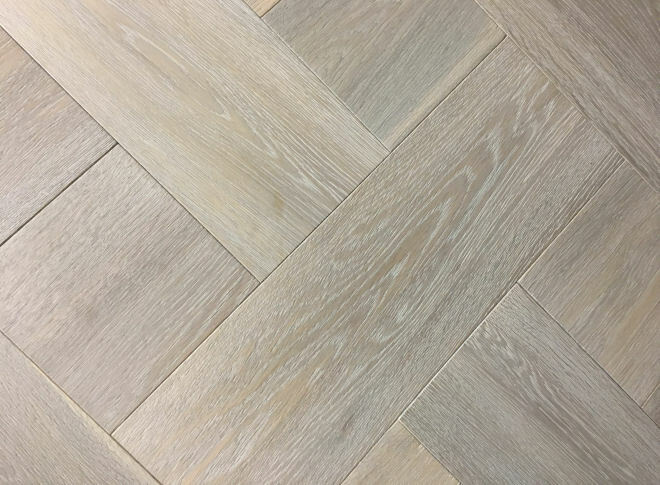 We finish each floor to order at our Leeds factory and have an extensive range of textures and shades available. 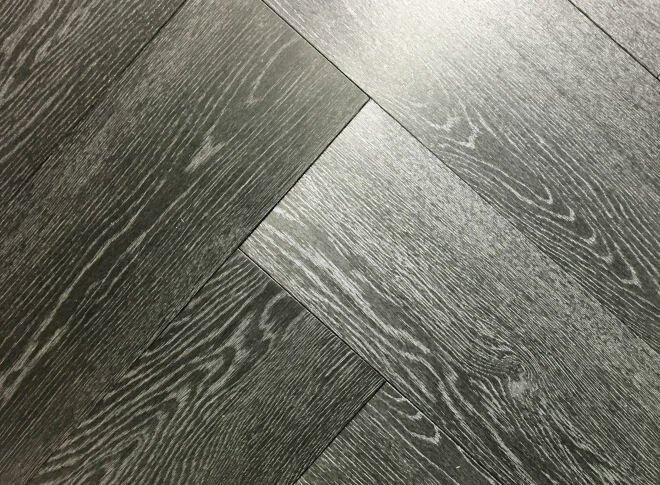 We can usually deliver within four to six weeks. 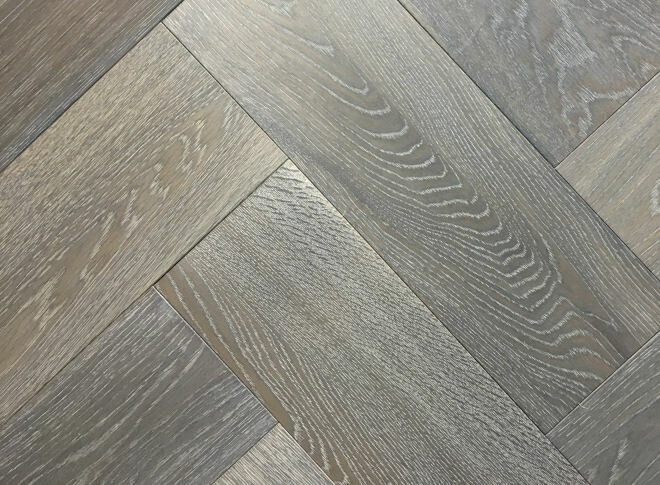 If a more aged appearance is desired we can re-work the individual blocks. 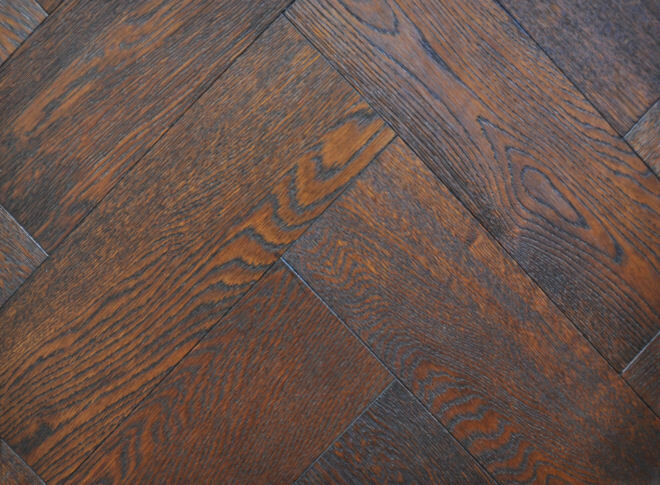 For example, hand scraping, edge chipping, surface saw marks and indents can all be undertaken before final finishing. 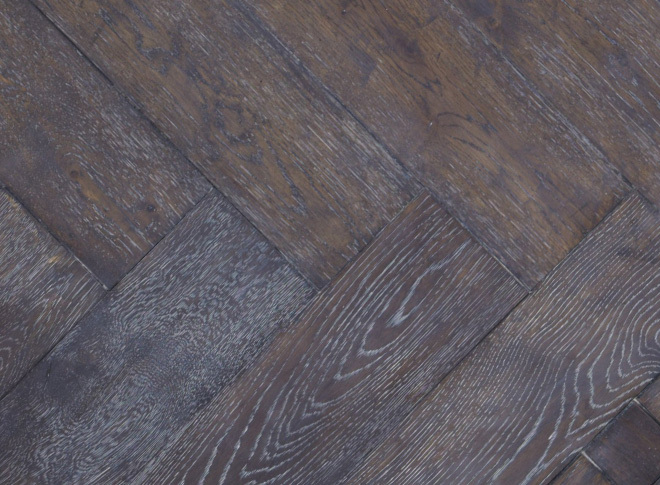 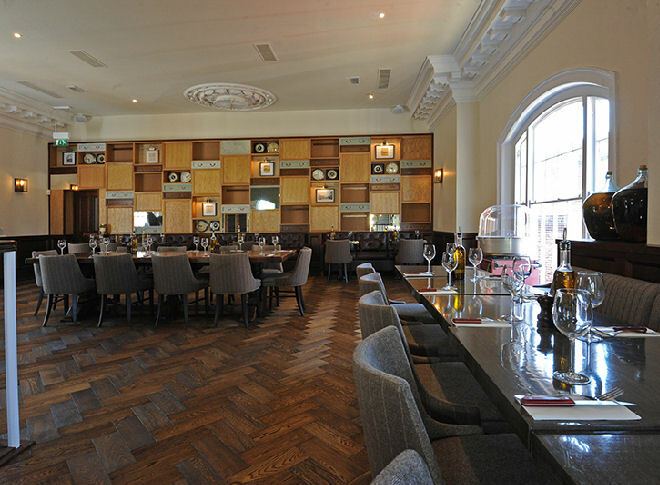 Our reclaimed parquet section shows a few examples of our distressing and reworking . 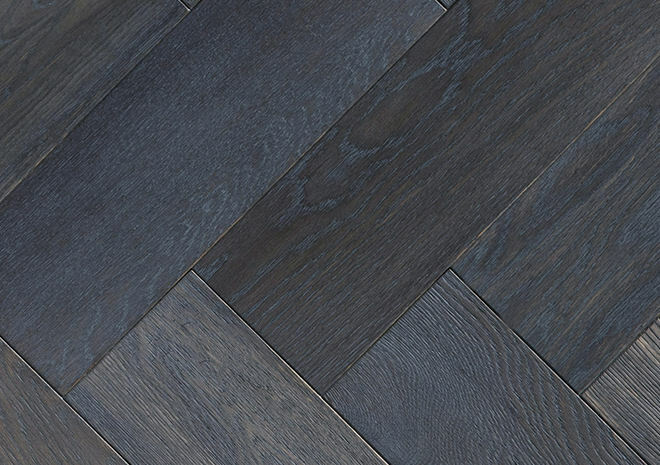 Tongued and grooved on all four sides and orders are supplied 50% right & 50% left hand tongues. 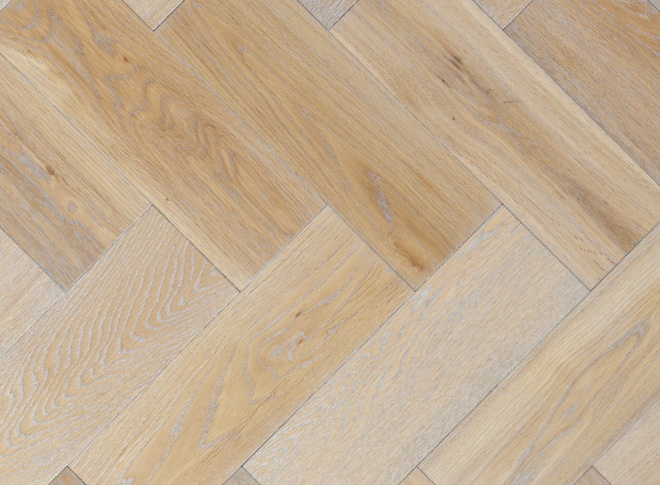 Made from sustainable sources with FSC certificated oak. 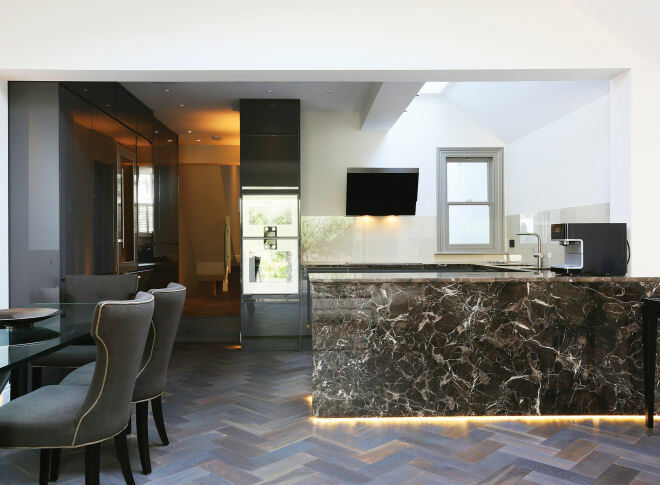 To see more images of installed herringbone please look at our HOUZZ pages.